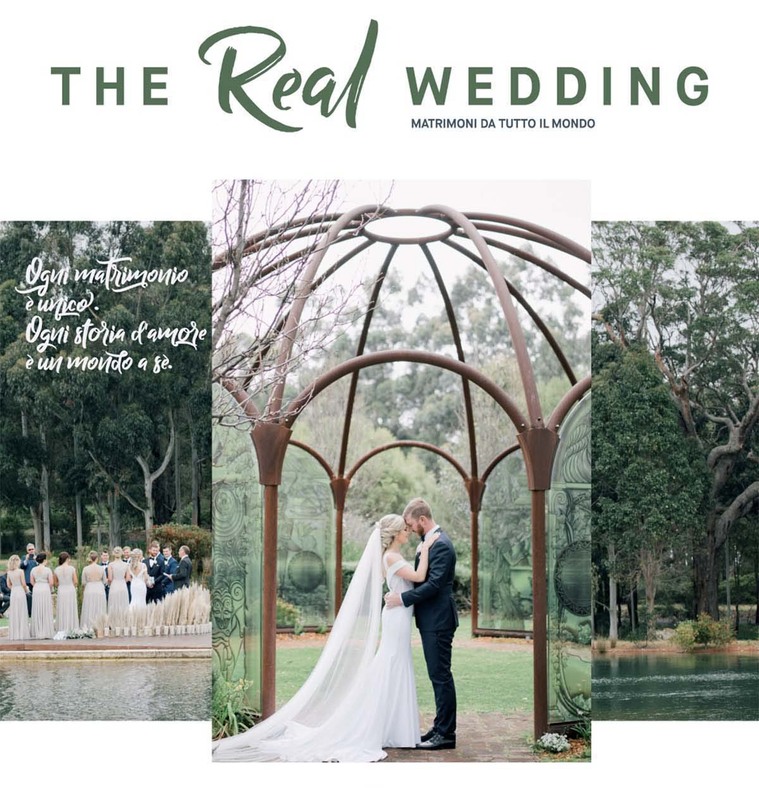 We are honored to have our dreamy Florence vintage wedding featured in the current issue of “The Real Wedding” print magazine. Click to see the whole feature. We loved this wedding. So many beautiful and swoon worthy details. But the best part was the couple who were as warm and fun loving as they are physically beautiful. 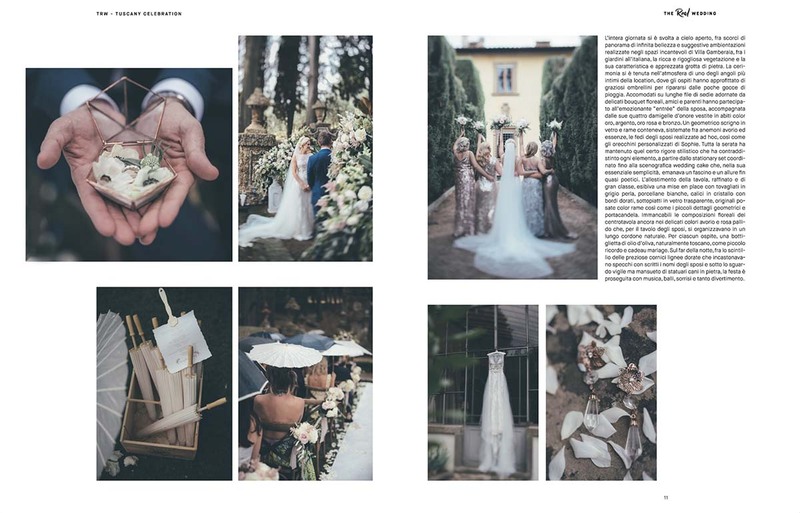 As soon as the photographer, Sandra von Riekhoff at Divine Day, presented these photos to the print magazine “The Real Wedding” they jumped at them. I mean really, what’s not to love? I spent most of the time planning the wedding with Sophie, the bride, who was a doll. She wanted a vintage theme to go with her unique cut diamond engagement ring which had a vintage look to it. The colors were rose gold, copper and light grey. Sophie wrote to me in February saying that they wanted to be married on a specific Saturday in September. 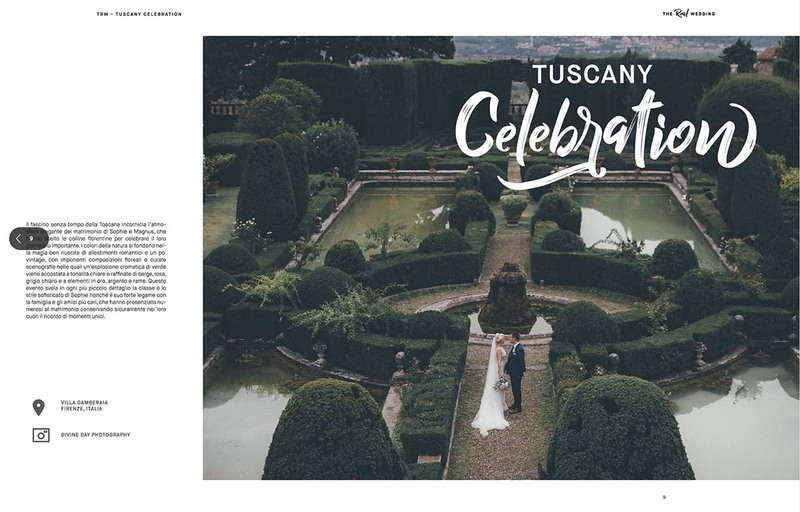 There were few top locations in Florence or Tuscany still available but we hit the jackpot with Villa Gamberaia. It was available and the couple saw immediately that it was the perfect location. 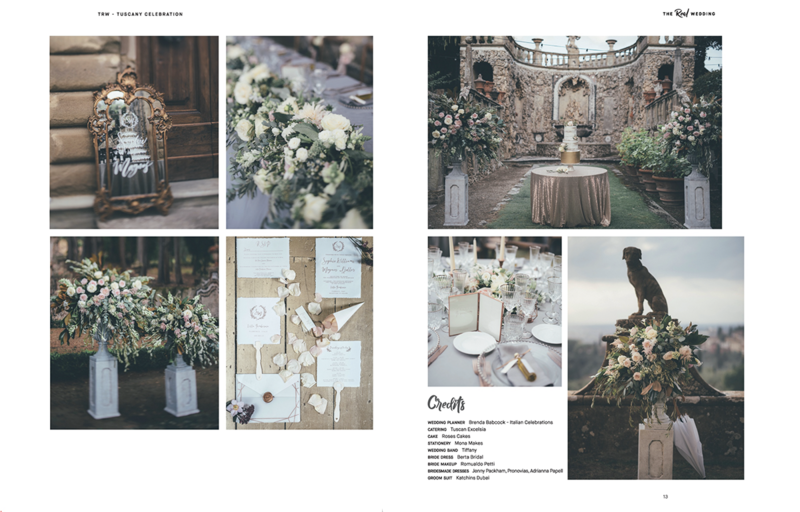 It would be hard to imagine a more perfect location considering their vintage theme. Sophie is Swedish and Magnus is Danish and they live and met in Dubai. 150 of their closest friends and family made the trip to celebrate with them. What a fun and game group of people. There were a few drizzles right before the ceremony was to begin and they gamely used the paper sun umbrellas as rain umbrellas. And we were worried about too much sun! The ceremony went right into the cocktail hour. Sophie and Magnus have a specific champagne that is special to them and they know the house that produces it. The champagne maker sent dozens of bottles of champagne that had custom labels with the couple’s names and logo. From there the entire day was festive and celebratory. To see more incredible photos of the entire day click HERE. Thanks to Sandra of Divine Day for these gorgeous pics!